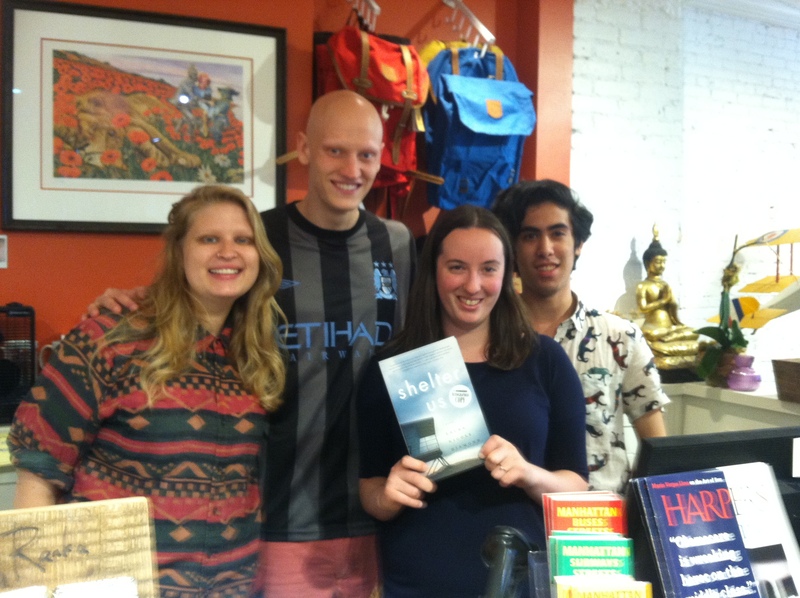 ← Behind the Book Tour! 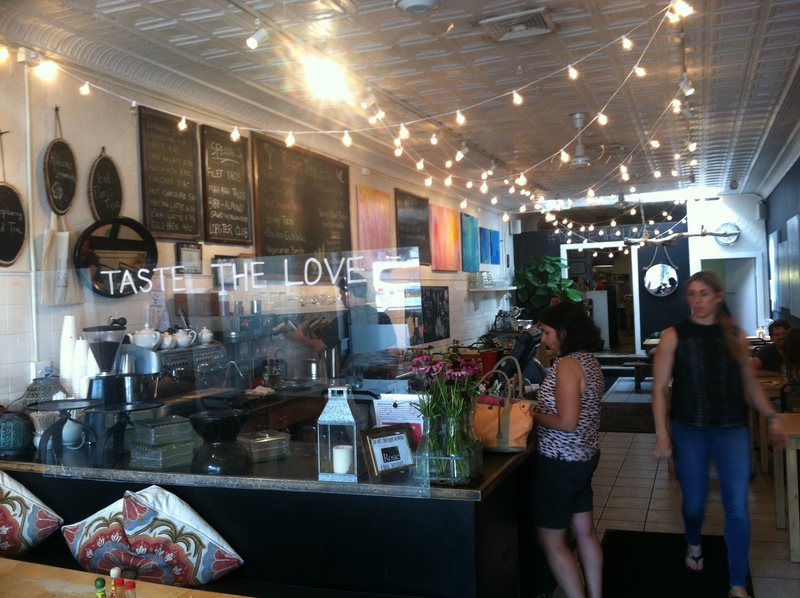 Tales of generosity (and good eats) on the road. Traveling from one town to another, to see friends, family, and brand new people (a much better term than “strangers”), I am experiencing all kinds of generosity — and eating far too much good food. I am keenly aware that this is one of the bountiful times. I let the phrase “This too shall pass” whisper across my mind. It’s not to be negative — quite the opposite. It is to remind myself to bask, as much as it is to free myself from any guilt that things right now are good. Life will bring other times (when the same phrase will help). We let the kids off this leg of the book tour, staying with their grandparents (and their dogs), where everyone is happy without us. Count that a win-win-win. In New Canaan, Connecticut, Saturday blossomed as a picture perfect day in a picture perfect town. 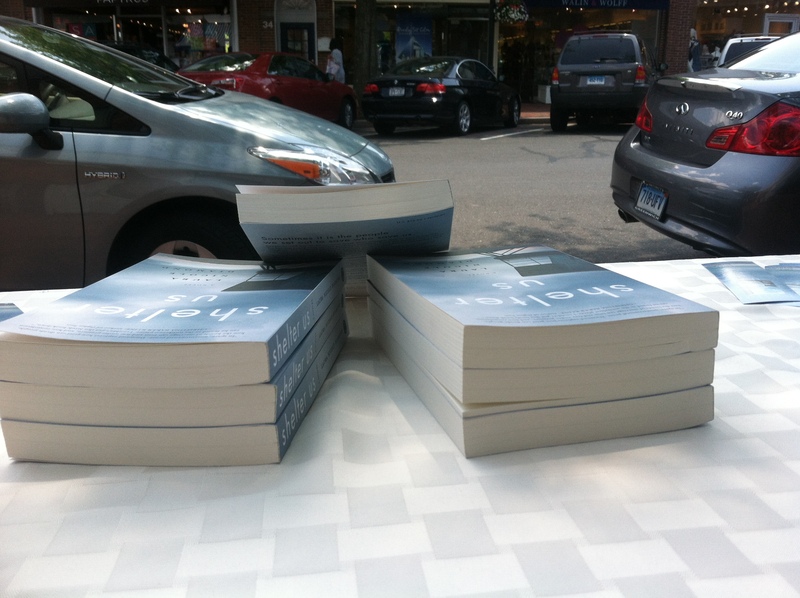 Elm Street Books welcomed me to sit outside and flag down passersby to tell them about (and sell) my book. The view from behind the table. It is not for shy people, or even outgoing people in a shy mood. You must take a leap and believe that people are of good will and that nothing bad can come of you telling someone, “This is my novel. 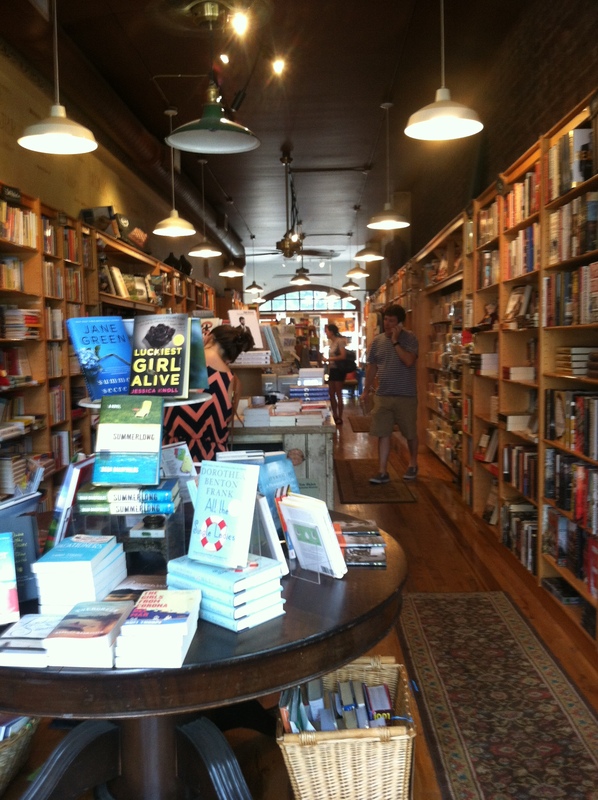 I think you’ll like it.” The good people of New Canaan believe in books and in their bookstore, and they welcomed me warmly. 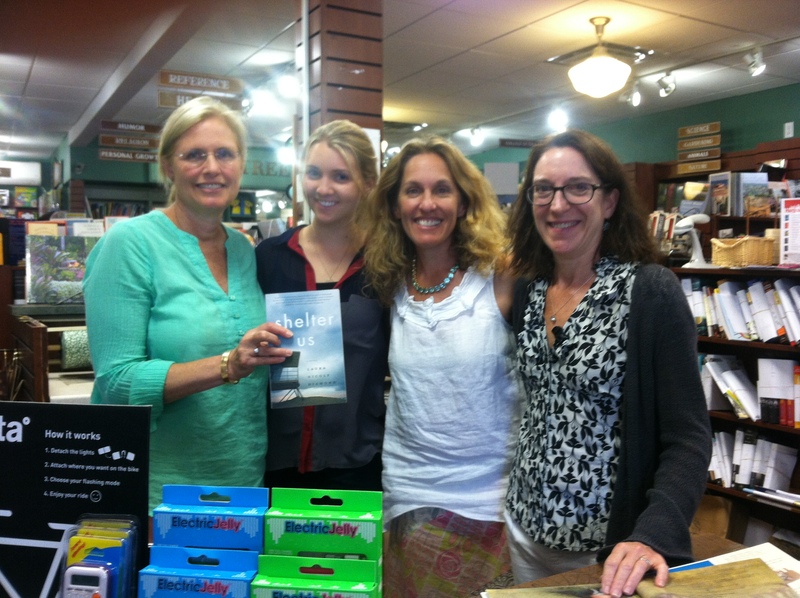 Elm Street’s booksellers Melissa, Sydney, and Sarah. There were fathers and daughters, mothers and sons, grandmothers and grandchildren. There were people who entrusted me with their stories of loss or discovery, and who took a copy or three to share with others. There was a woman walking two dogs who called to me as the dogs pulled her past, “I read that book in a day and a half! 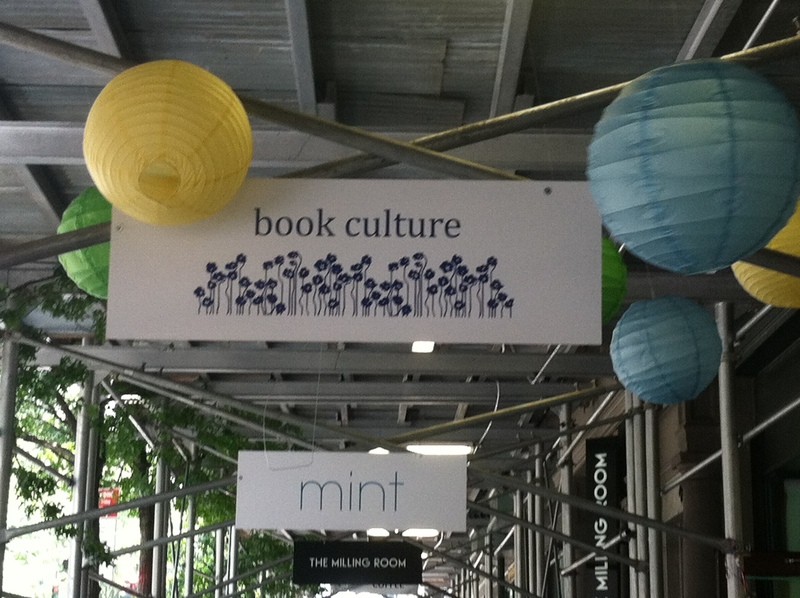 Loved it!” And there were those who passed by and said, “I only read non-fiction.” God bless them all. Did I mention my eating too much? For post-selling sustenance, we chose Rosie’s, with the most riDONCulous apple carrot muffins, crystallized sugar coated apple slices on top. And in New Canaan there were also old friends, not seen enough. Jim and Kate and Warren and Ross, Pete and Kelly and Tommy, and Elena who drove all the way from New York City. To be with people who have known you since before you did anything much is an emotional palate cleanser. You jump right in. You promise it won’t be so long the next time. But there were more towns to visit, and right away. 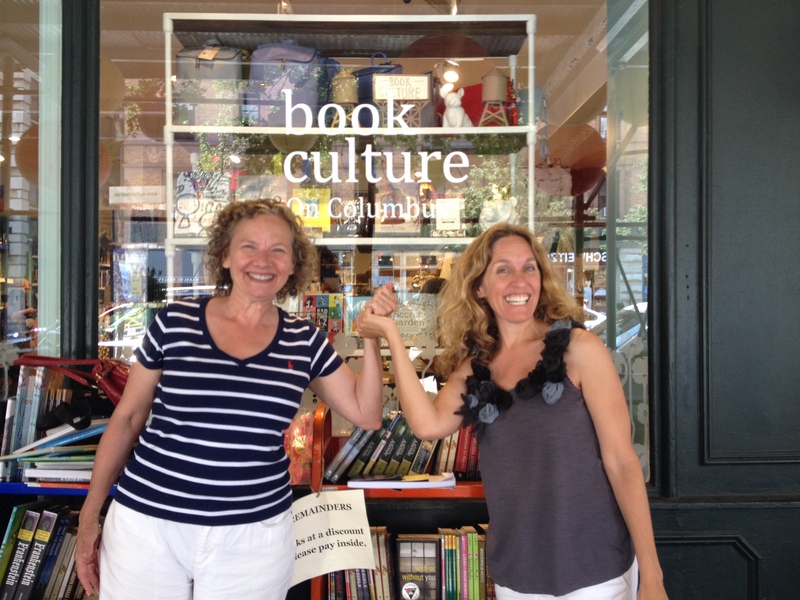 We breezed into NYC to visit with my cousin Jody, whose fed us a delicious brunch and family stories, and who strolled us through her neighborhood to Book Culture, whose booksellers graciously allowed me to sign a few copies before breezing out again. 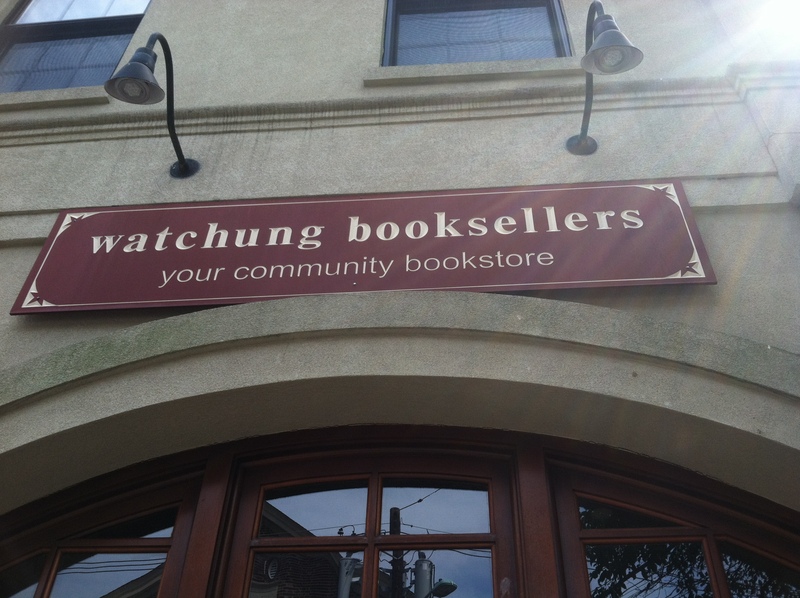 Without much time to say our goodbyes, we headed to Watchung Booksellers in Montclair, New Jersey, and experienced the generosity of author Jenny Milchman. Jenny is on tour with her third suspense thriller novel, As Night Falls (which just happens to be about two convicts who escape from prison running through the Appalachian mountains. Spooky.) Jenny is the epitome of a successful, generous writer who helps other writers. She spent hours with me on the phone months ago, when I reached out about her epic road trip book tours. She invited me to join her at two events. She is funny and charming, and her books are terrifyingly good. 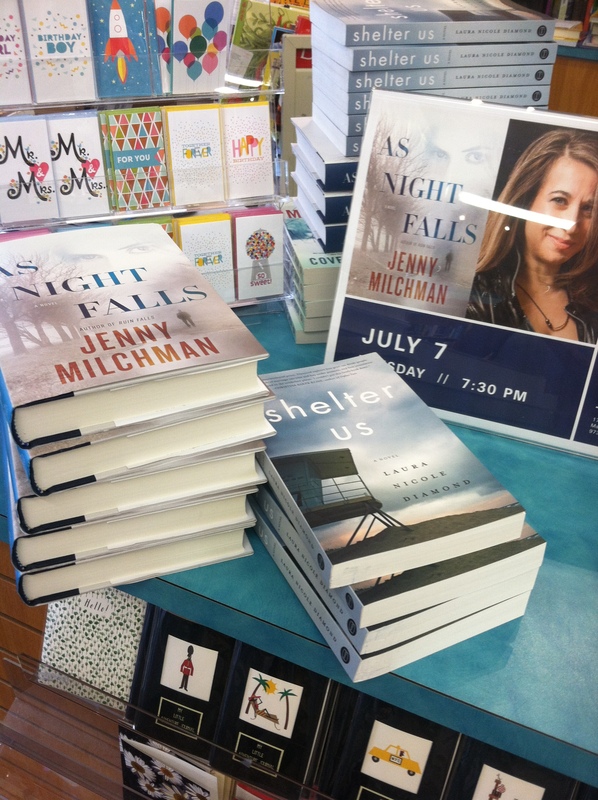 Jenny Milchman’s latest book, As Night Falls. Watchung Books tempted me with its excellent selection, and I ended up buying a children’s book called Billy’s Booger by William Joyce. It’s about a boy who doesn’t fit into the “box” at school, who would rather make up new sports than play traditional ones, well…it sorta reminded me of someone. And, of course, there was the good eats to go with the good books. 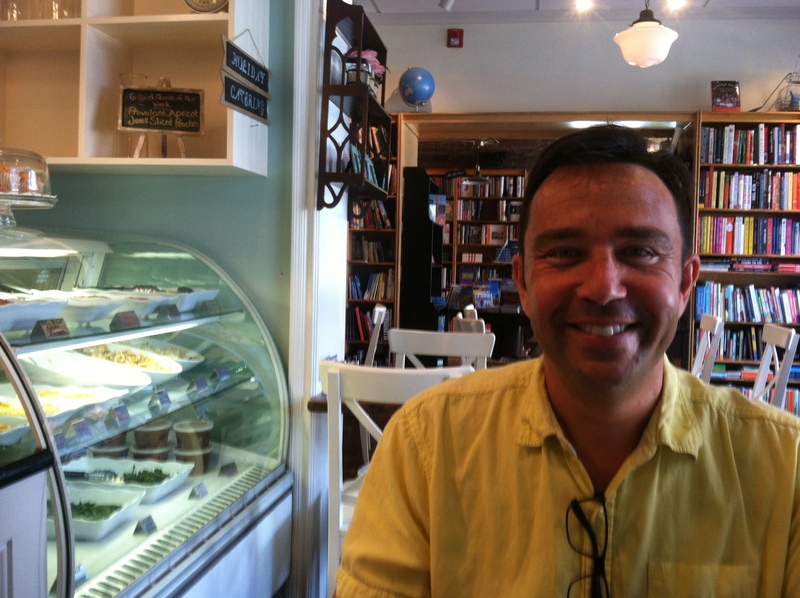 Watchung Booksellers is connected to a cafe. Tiny Elephant. Grilled cheese of the week: provolone with apricot jam and grilled peaches. In Tiny Elephant, looking through toward Watchung Books. With our bags heavier with new books, and our bellies heavier with good meals, we headed toward the Hudson River Valley. Great times you’ve had already, Laura! So glad I could be a part. Love hearing about your “novel” adventures! Thanks for following along, Natalie! Will be back in CA in August, and would love to see you.